We had a 1 pm reservation, and arrived a bit early to check in. 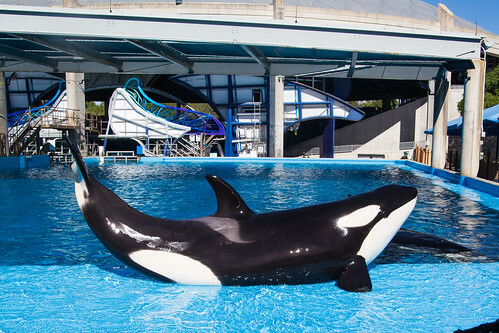 The check-in station is located beside Shamu Stadium in the park. There’s shaded seating with water provided while you wait for your reservation time to begin. Lunch was served buffet-style and we had an assigned table with table cloths and nice plates. 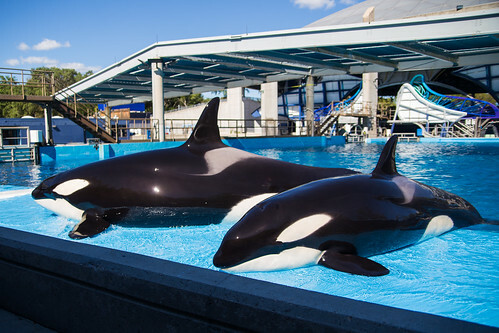 The tables are set up beside a training tank behind the stadium, and we had front-row seats of the whales playing in the water while we ate. 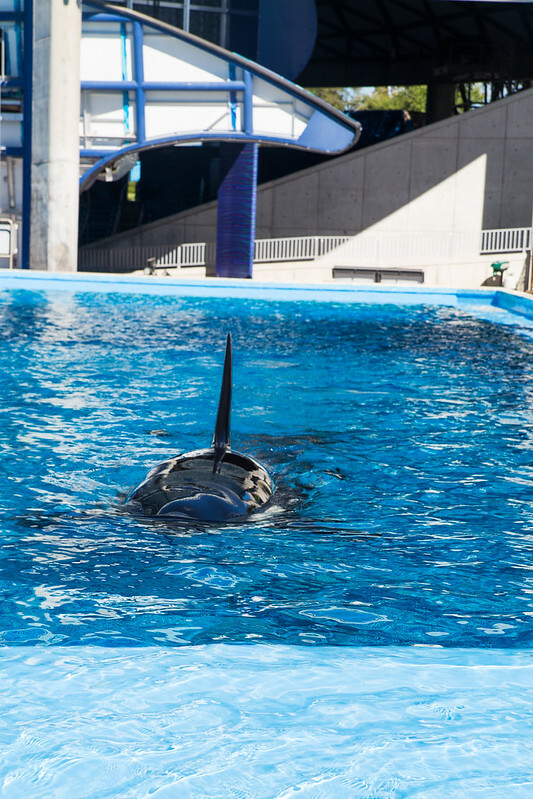 The orcas kept coming up and jumping onto a shallow edge by the fence where we were watching. I asked one of the trainers if they were telling them to do that, and she said that they were doing it unprompted to show off for the guests. 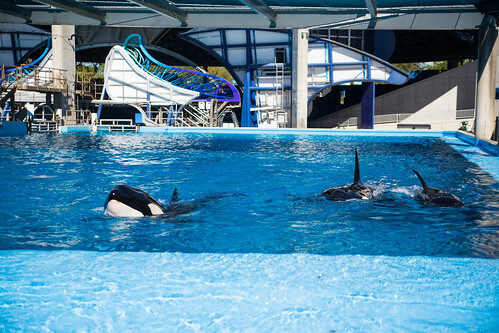 It was really cool to watch how they interacted with each other and us. 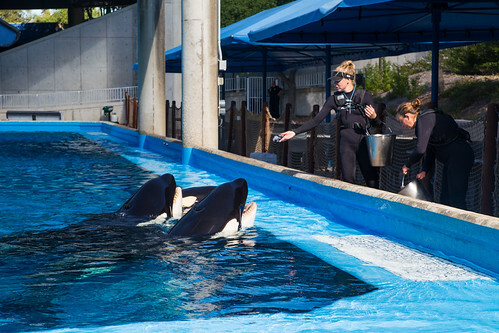 Once we were done eating, we got to watch a brief training session where the trainers bonded with the orcas. 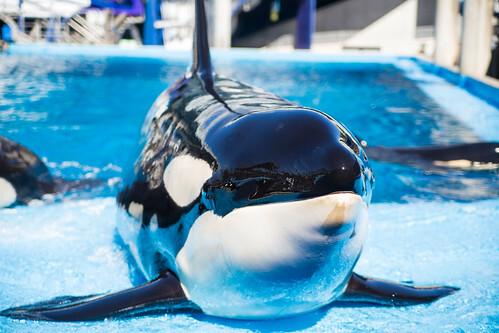 It was so neat to see how the whales love to be petted and loved on. 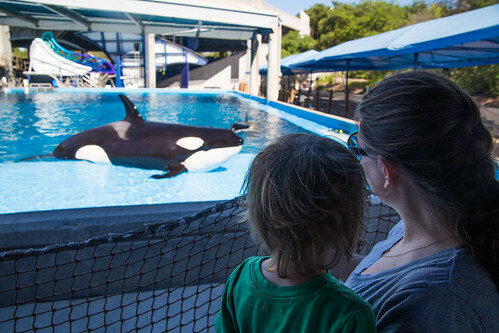 It was a really cool experience, and my son absolutely loved it. 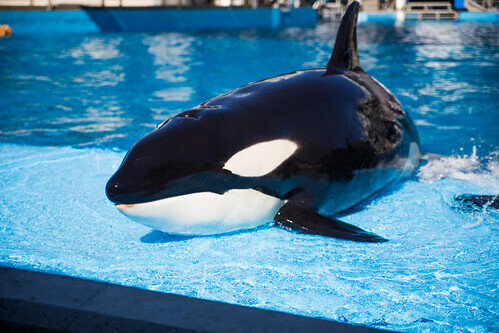 He kept talking about meeting Shamu for days afterward, and during our lunch, he kept trying to get over the fence to swim with the whales. 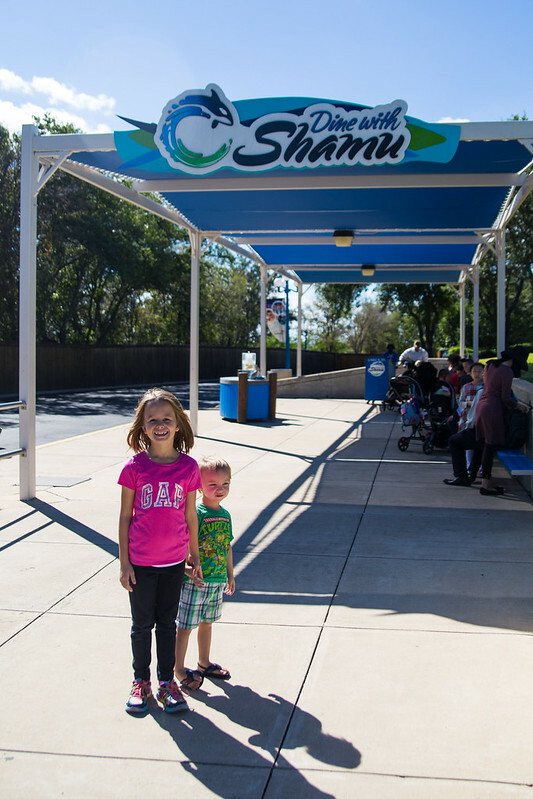 I definitely recommend experiencing Dine with Shamu at SeaWorld San Antonio with your family if you get the chance. 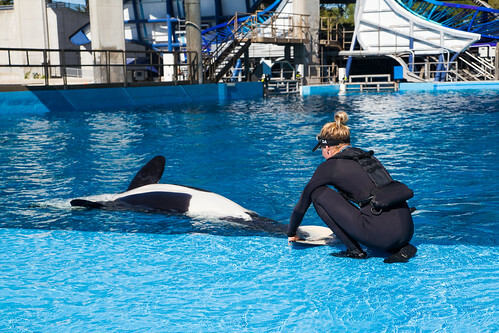 It’s a great way to learn more about the killer whales at SeaWorld and get a behind-the-scenes look at how they interact with trainers. 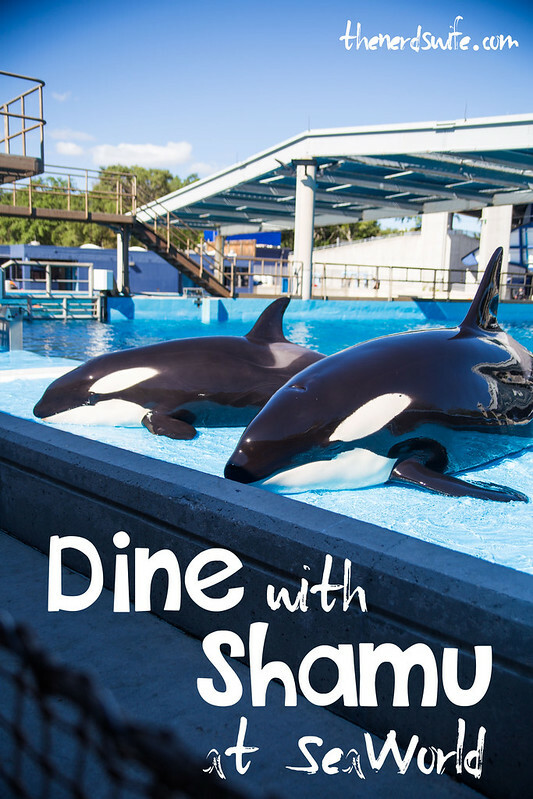 Click here to lean more about Dine with Shamu at SeaWorld San Antonio. 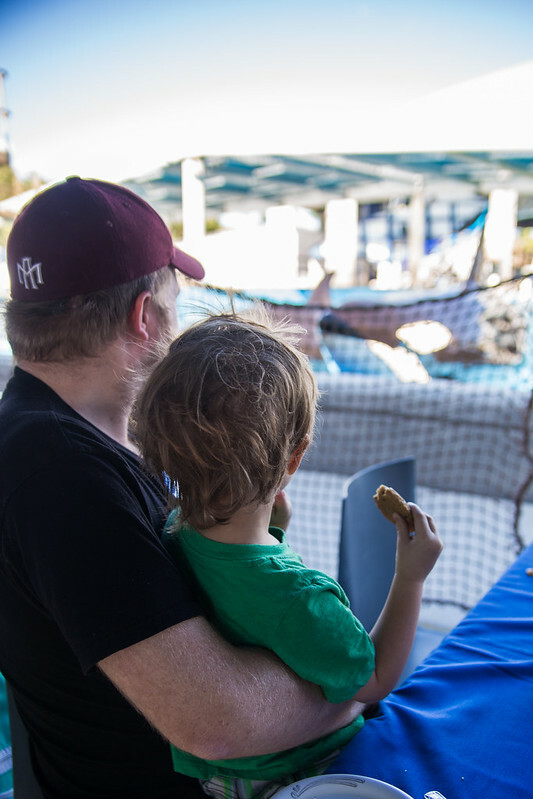 And don’t miss more of our adventures at SeaWorld San Antonio! It’s such a fun place!